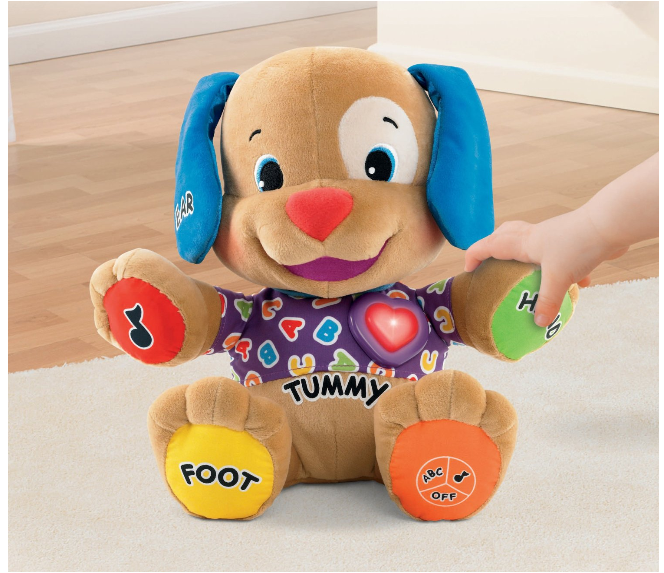 Fisher Price Laugh & Learn Puppy Just $12 + FREE Prime Shipping (Reg. $25)! You are here: Home / Great Deals / Amazon Deals / Fisher Price Laugh & Learn Puppy Just $12 + FREE Prime Shipping (Reg. $25)! WOW! Hurry and snag this super fun and highly-rated Fisher Price Laugh & Learn Puppy for Just $12 (Reg. $25) right now!! Order NOW so you can get it before Christmas! Plus, FREE Shipping is available with Amazon Prime or FREE with orders of $35 or more (sign up for a FREE 1 month trial here)!